Whether you just got accepted into grad school, medical school, or business school, you need to set a few things straight when it comes to budgeting. Yes, you need to know how to budget money. This article will outline the why and the how of starting a budget. No, the budget in your head isn’t good enough. Trust me, there’s a better way to automate your budget so that you can focus on your studies. I’m confident that you can understand how to budget money after reading this guide. If you’re up for the challenge, let’s dive in! If this looks oddly specific, it’s because this is my actual budget for this year. Ouch is right! The ‘Cost of Attendance’ is $56,100, which is also the amount that the financial aid office will arrange for you to have access to in loans. If you need more, discuss with them for further options – but holy debt batman, please try to live within your means! Ok, so if you take $56,100 – $36,892, you get about $19,200. Divided into 12 months and you’re left with $1,600 a month to pay for housing, food, transportation, books, insurance, clothing, fun, etc. Here’s where it gets tricky: $1,600 a month might work great for a single guy or gal with a roommate or two. If you live alone or you’re supporting a family, that $1,600 is going to be stretched awfully thin. The Bottom Line: You need a budget no matter who you are. Graduate school can be very expensive and creating good budgeting habits now will set you up for success when you actually make a steady income. Ok, the basic categories you get from the financial aid office are nice and all, but you need to get specific here. 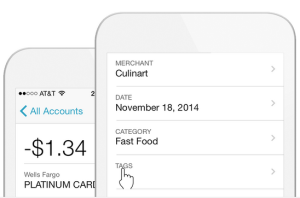 Scour your bank or credit card statements to categorize your expenses. 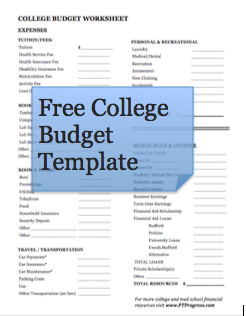 For more specific budget categories, download our budget worksheet. There’s no way that I can provide exact numbers for each category – no one can. That’s why you have to identify the variable costs and the fixed costs. Fixed Expenses – These are things like your insurance payments, cell phone bill, car payment, and even housing/rent. Variable Expenses – Your eating out, grocery bill, and gas can vary each month, hence the name. The key to making a budget that works for you is to identify both the fixed and variable expenses. Finding the low cost options for housing, phone, and transportation will help keep those fixed expenses low. The variable expenses are what can kill your budget. I would even say that your budget is really a tool to keep your variable expenses in check. It’s the little things that add up and eat away at your budget, which is why I like to set up automation to keep things in check. I think it’s important to sit down first and go through everything listed above so that you have a good understanding of the expenses you’re about to take on for the year. Your loan disbursements will generally come in the fall and then the spring, so your bank account will look awfully hefty in the beginning and will start to fade fast as the semester wanes. Now that you’ve calculated the estimated amounts you need for your fixed and variable costs, you can set it up in a spreadsheet or through a free tool like Mint.com. I’ve tried spreadsheets, but to be honest, I don’t have the time or patience to input every expense into a spreadsheet. Personally, I’m better off using a tool called Mint.com – a free (yes FREE) budgeting software tracks your spending by connecting your accounts into an easy to manage dashboard. I’ve been using Mint for 7 years and absolutely love it. It uses the same 128-bit SSL encryption and physical security standards as your bank, and is a part of the Intuit company (heard of Quickbooks?) so you can count on them to stay on top of security features. Mint connects with your bank and credit cards to upload your transactions automatically. It learns your spending and automatically categorizes transactions into specific categories within your budget. You can manually edit, add, or delete budget categories any time and also view your spending data in nifty pie charts in case you want to show mom and dad your financial prowess. You can even create spending and savings goals to help you stay on track. Additionally, Mint gives you a free credit score inside of your account, which is a really nice feature. It also lets you track your student loans, so you can manage your entire net worth in a single platform. You’re in control of your budget – No one else but you. Mint is great to help keep you in check and to keep you organized, but if you don’t exercise any self-control, your budget will fail. 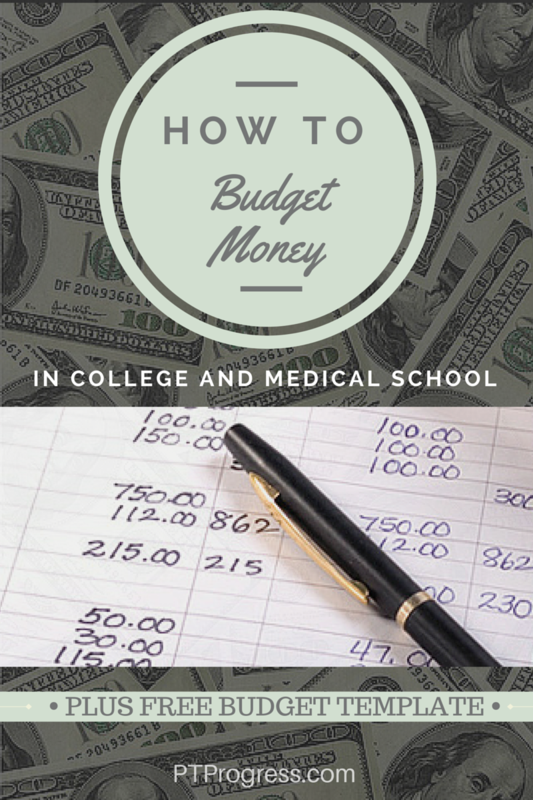 Keep in mind these tips that can help you to create and keep a successful budget in med school. You have to set aside a little extra for the unexpected, even if it’s just $25 a month. We can try to budget for everything, but sometimes there are just unexpected things that come up. What classifies as unexpected things? If it doesn’t fall in a category and it’s critical for life or school, then maybe. I’m not talking late night coffee runs. I’m talking about the unexpected car repair, emergency room visit, or something along those lines. Look, you’re not going to get it right the first month. You’ll go over in some categories and you’ll need to make some adjustments. Give yourself some padding and freedom to spend within your means. Sticking to a budget doesn’t mean that you can’t enjoy life. I think it actually lets you enjoy it more since you know that you’re making good decisions to keep a balanced financial life. If you don’t budget some fun things into your budget, it’s going to fail. Even in med school, you’ll have some time to eat out or have a few drinks. Set a reasonable amount each month and give yourself permission to enjoy a movie or a good meal every so often. Whether you’re just starting or you’re done with college, business school, med school or your residency, you need a budget! The sooner you start, the faster it’ll become a habit and the sooner you’ll start to integrate good money habits into your financial life. What are you waiting for? What budgeting questions do you have? Any tips that you’d share with the readers?